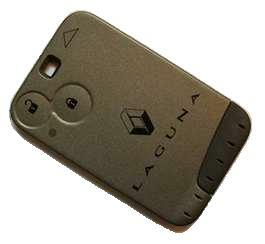 Our Newmarket based car locksmith had a call out to a lost Renault Laguna key card. The customer was out shopping in Ely and somehow managed to loose their key card. If you speak to the Renault main dealer it will take 10 working days to order a new card and then you have to recover the car in to the dealership, book it in,and get it programmed ... what a headache !!! Fortunately We carry the Renault key cards in stock and being fully mobile auto locksmiths we can open the car, cut a new emergency key, and program the new replacement Renault key card to the vehicle .... all this is done on site at your location and today. If you Need a Renault key card as a replacement or if you have lost your key card call us we can get you back on the road.